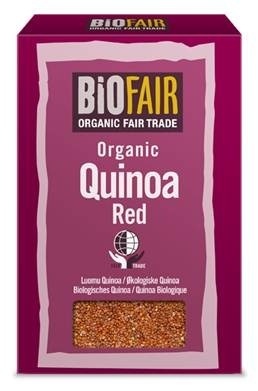 Fair trade brand BiOFAIR has expanded its range of organic and fair trade grains with a new variety of red quinoa. This special coloured grain is sure to be a popular cooking ingredient this summer, bringing colour, flavour and a protein boost to any savoury dish. 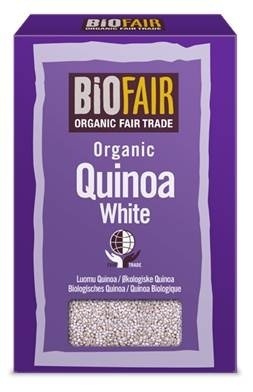 What's more, fans can tuck into this naturally gluten free quinoa knowing that they are supporting fair trading relationships with farmers from developing countries. 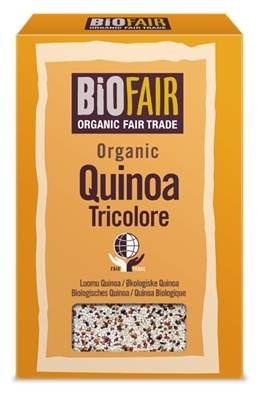 BiOFAIR Red Quinoa, Quinoa Tricolore ,Quinoa Grain ,are now all sporting the new-look packaging for the BiOFAIR brand which will make it easier to distinguish between the three types.